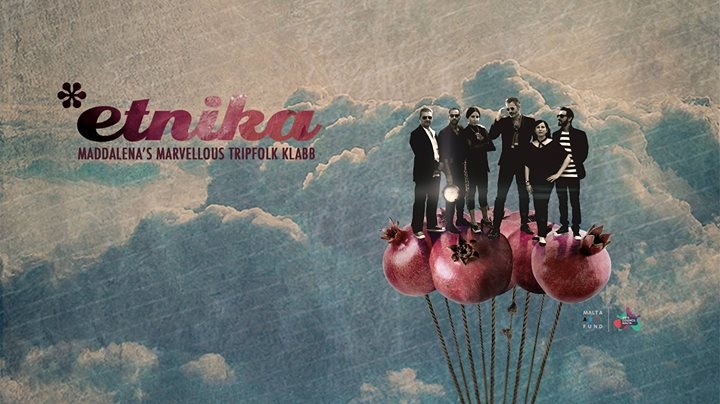 *etnika are launching their brand new album 'Maddalena's Marvellous Tripfolk Klabb' with two shows in Valletta on Saturday 3rd and Sunday 4th December at Sala San Duminku, a relatively unknown venue, a small underground tier-seated theatre in the middle of Valletta, perfect setting for a Tripfolk Klabb. An unlikely mix of artists, characters and instruments, *etnika's sound layers enchanting melancholy and traditional tunes & lyrics over effected guitars, retro-futuristic synths, unconventional percussion and footwork, deep, groovy bass, raspy sax, haunting whispery vocals and old Maltese instruments. Expect a few detours, expect the unexpected, this 'tripfolk' band has a big heart.